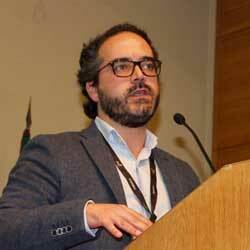 José Carlos F. Perreira is a master in the area of ​​business consulting and is one of the special guests at PARTTEAM & OEMKIOSKS Connecting Stories. It started in the industry in the field of food oils in tune with its base formation. Later, he was invited to a major business association in the country (AEP), where he had the opportunity to manage national and international markets. For 3 years he was an individual consultant and an invitation from other consultants. 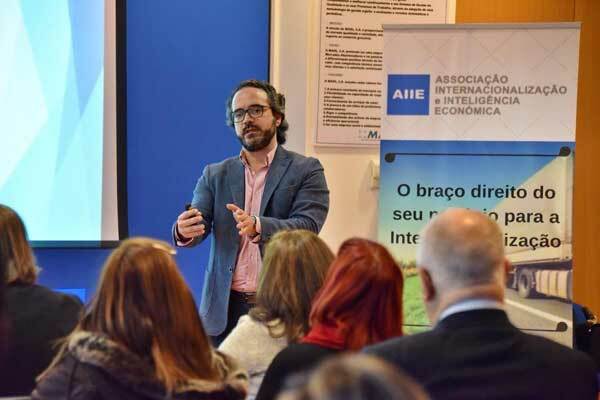 With all the know-how acquired throughout its course, it is currently supporting dozens of Portuguese companies and entrepreneurs to develop their businesses and teams. 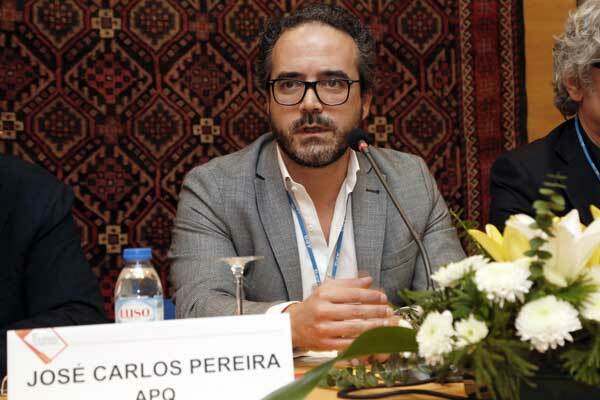 Get to know the history of José Carlos F. Pereira and his key to success. 1. Tell us a little about your journey and professional experience, until you take on the challenging responsibility of a professional consultant. Only in 2008 I became what I could call a business consultant and today this is my main activity. I believe that a consultant gives recommendations, helps and points the way, which requires some experience in various sectors and/or specialties. We have to have some business maturity, to know some models of approach, to have made some bad choices along the way, in order to give the best advice, adapted to the client's business in consultation - to know quickly their "pains", make the diagnosis and apply the best "medicines", the most effective from a starting point and always aiming for results. I started in the industry of food oils in line with my engineering background training. Then I was invited into service in the largest business association in the country (AEP), with responsibilities in the training business (Portugal's largest in vocational training in the period 2000/05). In 2005, still in AEP, I was given the challenge of managing the Latin American market where we had many projects and did many missions and fairs (especially in Brazil and Mexico). In 2008 I spent a lot of time in Brazil, already in an independent register, representing some portuguese companies. Then for 3 years I was a consultant to dozens of companies, individually and through invitation of other consultants, essentially in the area of sales and management. In 2012 I spent a greater part of the year in Mozambique as a team leader of a World Bank project, by invitation of a spanish company - a great challenge that I repeated for a large portuguese company with investments in Africa (taking over the local business), for two/three-month periods in 2013 and 2014. 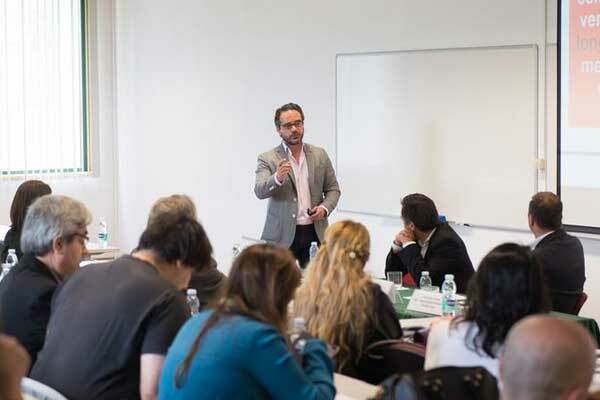 Since then, in the last 4 years, I have been in Portugal supporting dozens of portuguese companies and entrepreneurs to develop their businesses and teams (sales and new markets), in 3 formats - lectures (20%), training (20%), studies (10%) and consultancy (50%). It welcomes the fact that I work with large clients, large companies, large professionals, and large entrepreneurs who have also helped me to grow on this path. I was grateful to return to AEP as an external consultant in 2015 and since then continuously linked to the largest project to support Portuguese exporting companies (Business On The Way ). I also have some pro-bono mentoring activity as well as member of the board of two national associations (APQ and AA-ISP). 2. Consulting is indeed a stimulating area, which requires an enormous technical and creative capacity, in order to solve the numerous challenges that are contrasted daily. In what areas do you feel more comfortable? Are they the same for which you are most requested? Yes, that is true. A lot of encouragement that requires following the best, reading the best and learning from the best. Always be aware of trends, best practices to share and practice with high performance teams. I love and I have passion for what I do, delivering everything from me with complete transparency. Honestly I would like to have some quieter days, although lately it has been difficult, even on the weekends, combining family life and 3 children. It also requires having to make changes in several projects, sometimes the same day and in different sectors of activity (example of January 28: opening meeting of a customer food sector, sales conference for a new industrial client with a large part of the team, audit visit to a large metalworking company and end the day with another audit to a waste management company ... and ending the evening with the preparation of the next day that would be all day in a service client in Lisbon in component commercial). It's not easy, but it's always a challenge. What I like the most is really to stimulate minds, to involve and commit teams to results. To form, measure and provoke some influence that leaves marks or tools that come to be used every day. Nowadays the biggest recognition I have is in consulting in the area of international sales and markets. And yes, I also love lecturing and give training. I think it is, fortunately, an interesting triangle that gives feedback - training, consulting and lectures. All this allowed me to have my best year of sales and profitability in 2018. I owe it to whoever was my side and who trusts me. I'm sure I have the best friends and best customers in the world! 3. Although José Carlos works in diverse economies, we know that you specialized mainly in developing markets. 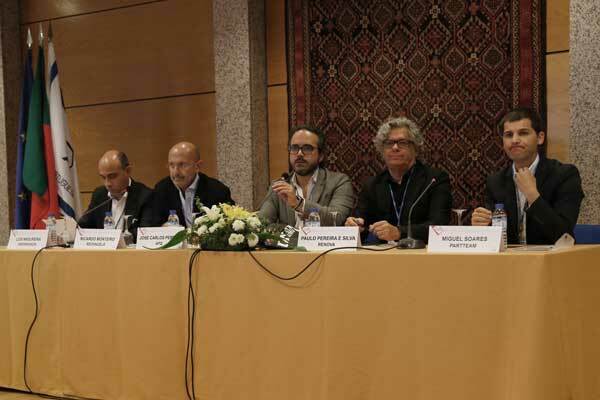 What is the future correlation between the technological sector and these markets? Can short / medium-term transform themselves into challenging technological powers? I do not know how to respond to this question correctly. Of course, there are indicators of economic growth with direct link to technological development. I do not know in which countries where I can possibly acknowledge this correlation (there must be studies on this subject, there are for sure!). There are countries that are making remarkable strides in technological development, even in the most extreme areas of Asia (India), Africa (Ghana and Namibia) or Latin America (Peru and Panama). I think that technological development itself is related to people, businesses and governments - when things are good things happen. I think there is a clear link between industrial production, technological development, innovation and qualified employment, because it is a collaborative ecosystem that produces results. As I like to mention, connectivity is the key - between companies, processes, people, and academia, because along the way there will be forced many changes in how things are done today. Portuguese companies to fully embrace this technology curve need leadership and vision (of good leaders and good people), anticipating trends - inclusive and participatory leadership. Secondly, of a capacity for rapid adaptation, because swiftness has become a must. Thirdly, it has a unique ability to read data and know how to analyze / measure it for the benefit of your business. 4. What aspects, particularly political, cultural or other, do you consider most relevant to the success / failure of the internationalization of Portuguese companies in the African and Latin American markets? There is no recipe. There is a risk assessment and a model approach that must be carefully planned and above all else thoroughly thought. Know our company well and know the culture of the business well in the destination. The world is VUCA. Nowadays, the factors of uncertainty, requiring a greater attention in risk management (be it political or cultural), are admittedly living in a VUCA (Volatile, (U) Uncertain, Complex, and Ambiguous) world. The responses to this turbulence go through these recommendations in the preparation of the contingency plan: speed, agility and adaptation as business drivers in the new markets; obligation to make happen without certainty - risk management and planning with vision and ambition; a dynamic with many interdependencies - indicators and control; an environment out of the information and expertise that we have - support for those who know. 5. Since PARTTEAM & OEMKIOSKS is a leader in the development and export of digital billboards and multimedia kiosks for the international market, what is your opinion about PARTTEAM, its products and its internationalization strategy? PARTTEAM & OEMKIOSKS is what I would like to say "leading the way in the international markets". Both in his leadership and in his team for what I have come to know, and I am certain of a large and sustained growth in the coming years. I know the company and I feel it has a culture of permanent innovation and I have already had the opportunity to invite as an example for more than one event. I think it's a great fusion of technology with metal mechanics. Always doing better and internalizing many skills with industrial verticality. I am impressed by the number of patents - this number is related to innovation. Whoever innovates permanently leads the international markets. Whoever innovates permanently leads the international markets. I feel an incessant search for differentiation, value and customer experience. Focus and consistency in processes is a daily practice. So, I have no doubt that the path is correct. 6. Which PARTTEAM & OEMKIOSKS product or service would you recommend to the companies you work with? What is the reason for this choice? I recommend everyone I know for the innovation, functionality and connectivity they provide. The one that fascinates me most is NOMYU, which if I'm not mistaken, won an international prize in 2017. I know it has been improved, with a new line, which was the source to NOMYU Citylink, playing perfectly in all cities around the world ... and sure it will be a star product of the company! The project, which was conceived by PARTTEAM & OEMKIOSKS, includes the publication of success stories, through small interviews with influencers who want to share details about their projects, opinions, plans for the future, etc. The idea is to connect stories, share knowledge, develop networking and generate content that can provide new visions, opportunities and ideas. PARTTEAM & OEMKIOSKS is a Portuguese company, born in 2000 and a worldwide reference in the development and manufacture of multimedia indoor and outdoor kiosks, self-service equipment, digital billboards and DOOH, interactive tables and other digital solutions, for all types of sectors and industries. If you want know more about our story click here.